There are hundreds of great U.S. companies in which to invest, but you shouldn’t limit yourself to within our borders. 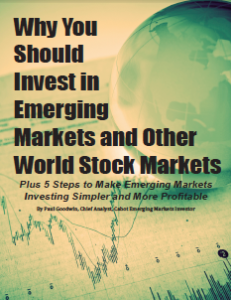 Emerging market economies such as China and India are growing much faster than America’s, making them a great place to invest. Get all the details in your absolutely free report.